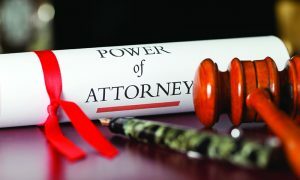 A Power of Attorney operates when someone has mental capacity but unable to carry out acts himself/herself. A Lasting Power of Attorney is when someone has lost mental capacity and requires someone else to make the decisions. A Power of Attorney is a legal document which allows you to voluntarily appoint one or more adult persons (known as a ‘donee‘ or ‘donees‘) to act on your behalf on specific matters. You will be named as a ‘donor‘ in a Power of Attorney and you need to be at least 21 years of age to be able to validly sign such Power of Attorney. A Power of Attorney is necessary if you cannot be present to attend to your local personal or financial affairs yourself, for example, if you anticipate that you will be abroad for long periods of time or if you become ill and may be in Hospital or respite care for long periods of time and you know that you have personal or financial affairs and need someone else to assist you while you are unavailable to deal with such affairs yourself. A very common Power of Attorney is one which is signed for the sale or purchase of an HDB flat but there are also other types of Power of Attorney to allow someone else to manage your affairs. It must be noted that some Singapore Banks refuse to permit a Donee to carry out certain acts on behalf of the Donor under a General Power of Attorney, for example, the changing of the Donor’s ATM card/passbook or the changing of the Donor’s residential address unless these acts are expressly specified in the Power of Attorney. You will need to consult with your Bank(s) carefully before instructing a lawyer to prepare your Power of Attorney so that all bases are covered and avoid the Banks from turning away your Donee. The most important fact that you should be aware is that a Power of Attorney is only valid when you are mentally capable. Once you are mentally incapable, it is no longer valid. Who will handle your affairs when you become mentally incapable? This is when Lasting Power of Attorney comes to play. An LPA is a legal document which allows you to voluntarily appoint one or more adult persons to make decisions and act on your behalf should you lose mental capacity one day. A Donee can be appointed to act in managing (a) your personal welfare and (b) your property & affairs. Section 4 of the Mental Capacity Act (Chapter 177A) states that a person lacks capacity in relation to a matter if at the material time he is unable to make a decision for himself in relation to the matter because of an impairment of, or a disturbance in the functioning of, the mind or brain and it does not matter whether the impairment or disturbance is permanent or temporary. An LPA is important to protect your interests in the event that you become vulnerable one day and making an LPA gives you the freedom to choose a trustworthy, reliable and competent donee to act in your best interest. An LPA will remove all stress and difficulties faced by your family who may otherwise need to apply for a Deputyship Order from Court if you lose your mental capacity and without an LPA in place. If you need to prepare a Power of Attorney or a Lasting Power of Attorney, or help in obtaining an order under the Mental Capacity Act, please do not hesitate to contact us. We are here to help you.